Home » General » Cheap thrills! Getting off the grid for a social detox and campfire laughs. Cheap Thrills – disconnecting and getting outside for an internet detox and hard reset with friends and family around the campfire. Something about this year had me spinning my wheels a lot. Normally, I am a go with the flow kind of girl, with my head down and ready for adventure whenever it strikes. But this year was filled with changes and curveballs. It left me feeling strung out and grasping to get by. With bells and chimes going off on my phone and computer as a constant reminder of the incoming onslaught of emails and to-do’s, I am sure you can relate to the feeling of imminent stress. One more thing, every one of those little things, threatened to be the thing that broke the camels back – for lack of better expression. I was finding myself sinking into a whirlwind of anxiety over the little things and letting myself become overwhelmed. We have all been there, after a stressful day, stuck in traffic, angry at the person in front of you because their bumper stickers disagreed with you, instead of just decompressing and arriving home fresh. The thing was, this year, I was finding myself more and more wrapped up in that ball of stress. And I knew I needed to make a change. To ask myself what I really needed to get in control of the workload again, instead of letting it control me. Lucky for me, I found myself outdoors, surrounded by the sounds of nearby rivers, bugs, and birds chirping, the hum of highways and buzz of electricity miles and miles gone. In these moments outdoors, with no signal to chime in with reminders, alerts, and emails, I was finally able to clear my mind of the haze that had seemed to crowd it. Over and over again this year, I’d load my ‘bug out bag’ (a bag with my tent and some small essentials for a few days off the grid), some basic campfire eats (lies, I eat like a champ while camping), a bottle of wine, and a good friend or two, and set out on a hike. Pitching tents from shorelines, the lush greens of the Appalachians, to the rugged peaks of the Sierras. Heck, I even pitched a tent in a backyard one night, just to sleep under the clear star-speckled skies and listen to the owls hooting in the distance. And got off the grid for 3 major holidays celebrating without Instagram with friends fly fishing for supper and sharing a toast to our hard earned meal! Each one of these nights, gathered around a fire pit, sharing stories and laughter worked to remind me of the important things. The cheap thrills that keep us fresh and ready to tackle the world. Sure, hiking in with a bottle of wine may not be on the essential training guide for extream of the grid enthusiasts, but I encourage you to try it. The organic chatter and laughter shared around the campfire without any other cares in the world is some of the best medicine your money can buy – and bonus, it’s pretty dang cheap. 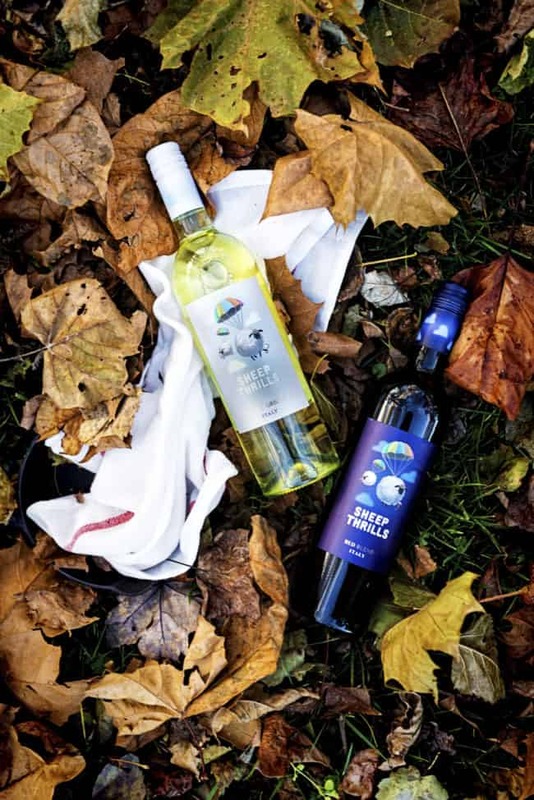 Have each friend grab a bottle and carry one in for long weekends just to lighten the load. I have a few more campsites planned for the year along with hundreds of others planned for the upcoming seasons of adventures. 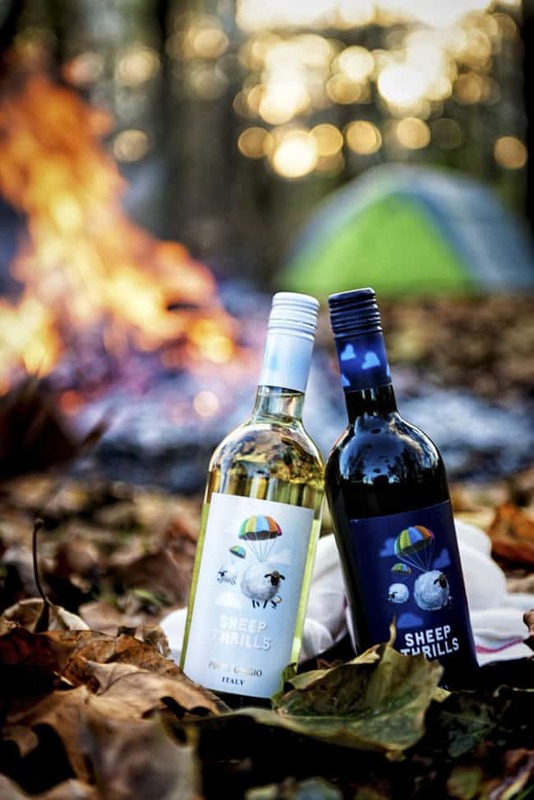 It’s the cheap thrills, oh heck, Sheep Thrills (cuz the wines name is that cute), that I am going to be hunting out from now on. 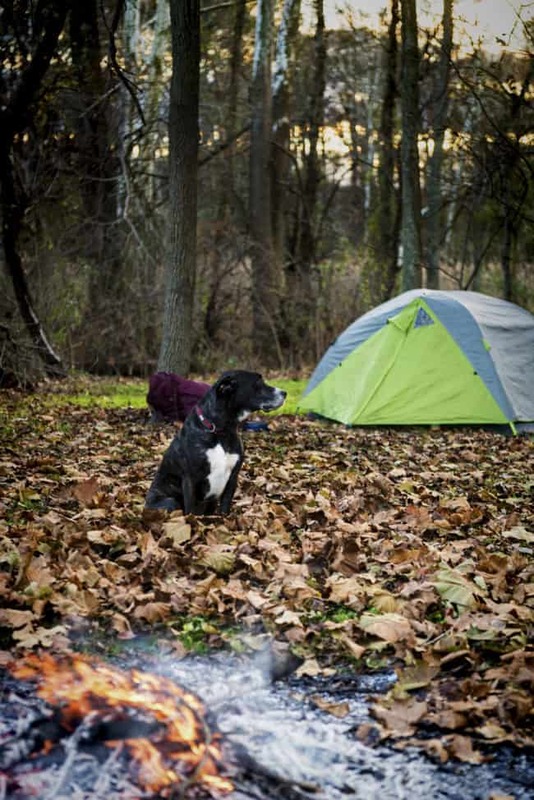 Where are you setting up your next camp and working on your own cheap thrills?